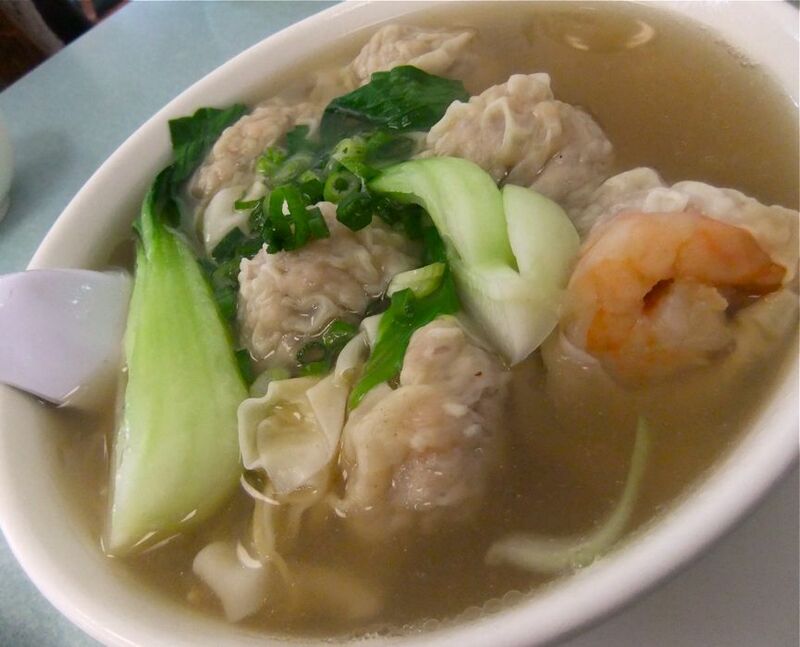 Won ton noodle soup. Always a good broth and w said the noodles had the perfect chew. The dumplings can be inconsistent, but I thought yesterday's were pretty good. 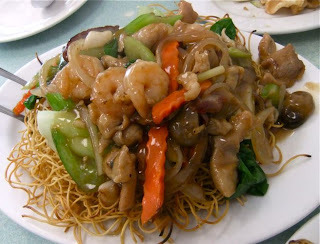 What was supposed to be shrimp chow mein with pan fried noodles. It was chow mein, but with every kind of meat. I think they do a great chow mein and their sauce and noodles are excellent, so the unexpected additional proteins weren't a problem. The only fail of what I've had in several recent trips were the salt and pepper squid. 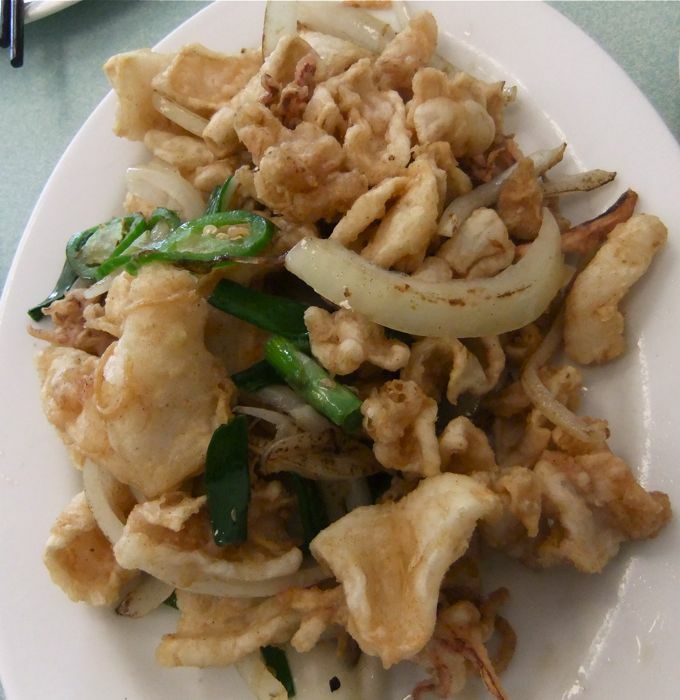 The squid itself was tender, but under-seasoned. It and the onions and the (too few) peppers tasted too oily like the fryer needed a change out. Better to save my palate for the always superior version just a few blocks north at Ocean City Seafood.